Most girls, when they get to a new school, just want to fit in. But Dashiell Brody isn’t like most girls. A natural at softball, Dashiell discovers her new school has a championship level baseball team—and Dashiell wants to play ball! 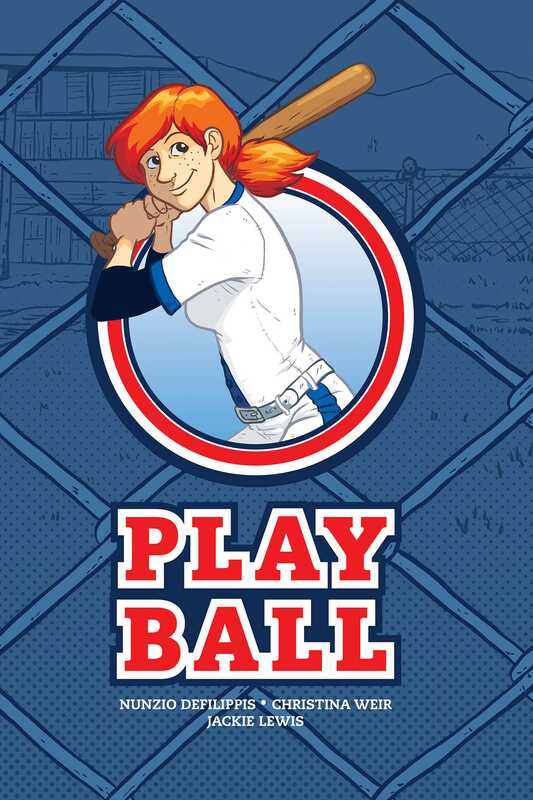 One girl’s quest to play the national pastime with the boys will turn her family, her school, and her state upside down! Jackie Lewis is a comic book creator from Atlanta. Growing up, she spent most of her time drawing monsters and building forts in the woods. Now, she's thrilled that she gets to draw both of those things professionally. Jackie's published works include Merry Men, The Lion of Rora, and Play Ball.